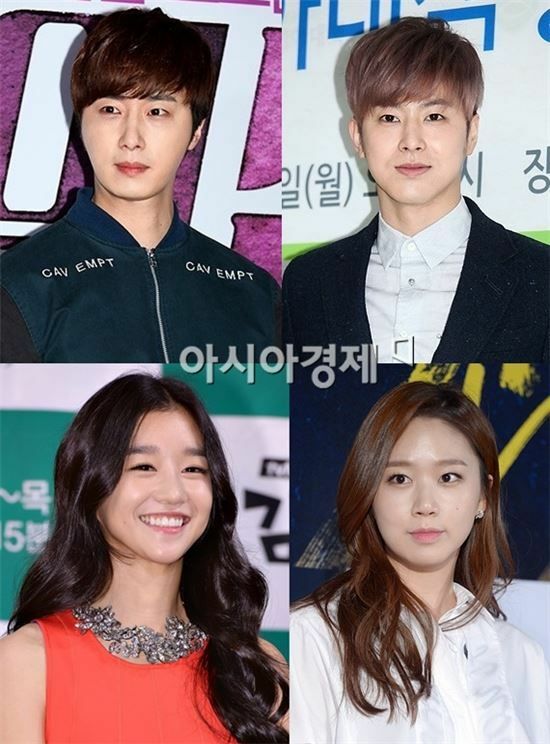 After yesterday’s slap upside the head with the casting of Yunho alongside Jung Il Woo in the upcoming supernatural sageuk Records of a Night Watchman, today MBC goes all out and finalizes the leading cast perhaps to keep the shrieks of “noooooo” going until the wailing ceases because everyone is exhausted. Yunho is a done deal so either watch or don’t, that’s my approach and has served me well in my drama journey. 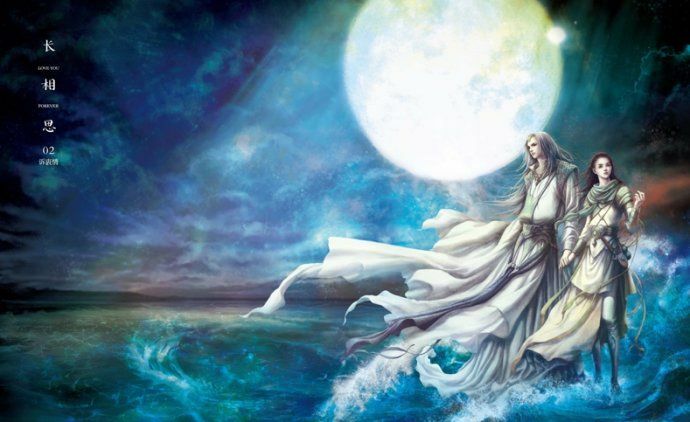 Joining the aforementioned two guys will not only be Go Sung Hee as the female lead, the fourth and final member of the night watch has been gender swapped into a girl and MBC has cast super duper newbie Seo Ye Ji to round out the team. If folks thought Go Sung Hee is a fresh faced ingenue without a lot of works under her belt having done only Miss Korea along with small parts in two movies, Seo Ye Ji one-ups her having only one acting experience and that was in last year’s cable sitcom Potato Star 2013QR3. That means this drama is going to rest on Jung Il Woo to carry along one of the worst idol-actors of his generation in Yunho not to mention two relatively inexperienced leading ladies who not only have few acting gigs not to mention zero sageuk experience. I liked Go Sung Hee in Miss Korea but she was definitely still raw in there. That’s not to say she’s not going to do just fine here but I don’t have a lot to go on in making the hopeful assumption that she can hack it in a sageuk. The same is even more true of Seo Ye Ji, but the upside of having two relatively unknown and untried leading ladies is the lack of expectation and a higher potential to pleasantly surprise us all. 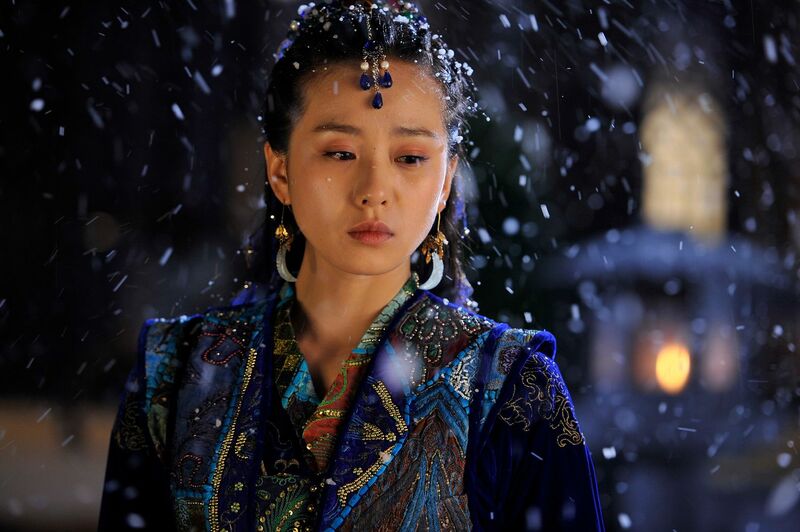 Night Watchman will follow Triangle on Mon-Tues and premiere in July. With two leading ladies, that does decrease the chance of the drama forcing a hopeless love triangle in the mix. 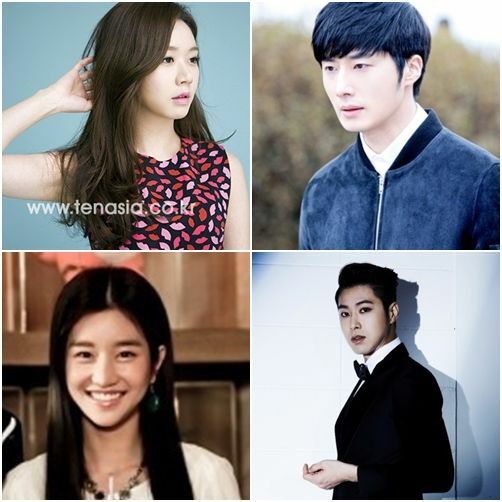 I’m assuming the pairings will be Jung Il Woo-Go Sung Hee and Yunho-Seo Ye Ji. Poor Seo Ye Ji, I hope Yunho fans will go easy on her and just be happy their guy gets a love interest of his own rather than pine pathetically for the leading lady. At least I hope this is what the scriptwriter has in store. 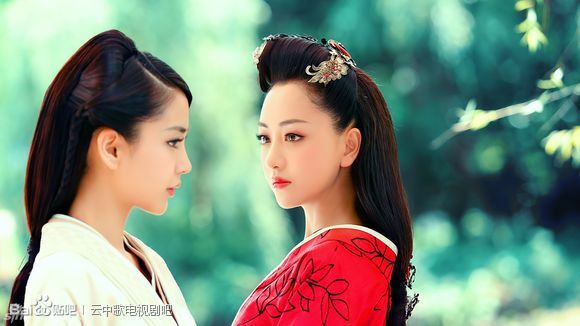 Looks-wise the two leading ladies are fresh and easy-on-the eyes. I mostly approve of the collective pretty in this drama even though I never have and still don’t find Yunho attractive in any way. I’ve heard his fans claim he’s cute but my eyes tell me errrr, no on on that assertion. For once I agree with Koala. No, Yunho is not cute to me either. And he’s lacking that something as an actor. 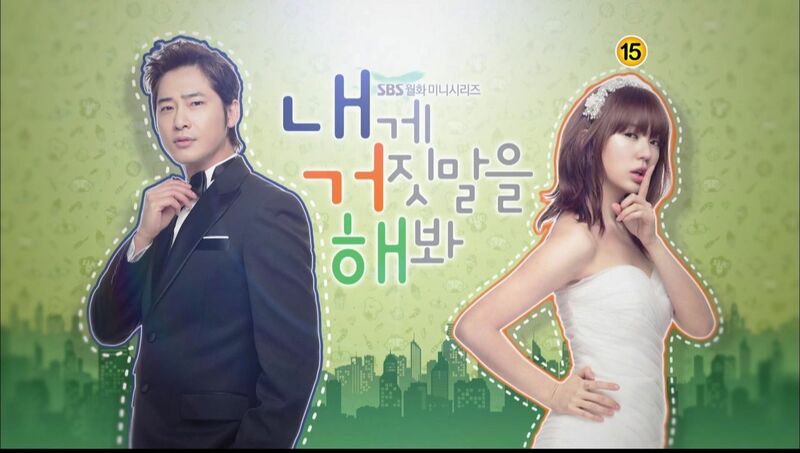 So sadly, I won’t be looking forward to watching this drama afterall. I didn’t realise I was looking forward to this drama until yesterday’s disappointment. I was holding out hope that Yunho would be the group member that doesn’t get much screen time, plot or character just there to round out the numbers. This news stomps on that hope. I’m not ready to give up yet Bride of the Century had inexperienced actors but they did surprisingly well. Maybe the writer will be very careful about the material they give Yunho. Seo ye ji was natural and awesome in potato star, although i stopped at epi 40 cozsubs just stopped! I will prob tune in just to see how it goes before passing any judgement. Thanks for the casting news. Koala, I think you might have to be careful on your words regarding Yunho. I made the mistake of voicing my criticisms of him over at DB, and now I’m deemed as a JYJ fan and is under attacked. I’m going to take refugee here, hope you don’t mind. ah, you with all those long comment about acting skills wise and ratings. well well, you sure are brave. Which is my sentiments too. From my research. Jaejoong, Yoochun and Junsu were members of DBSK, but they sued their company, SME at the group’s peak for a lot of tedious reasons. Mostly related to creative differences, financial problems, and a 13 years contract. Basically they’re binded by contract for 13 years with no room for personal investments, or freedom. Where-ever they go they have to report to the company, what they invest in, they have to ask the company, while SME take their money without giving them the paper. They uses allowances instead of payment. A lot of shady works. They sued and won, but the lawsuit was dragged out, and so is the fanwar. Lawsuits with this company happens often. It happened to the chinese actor/singer Hangeng, and is happening again with a chinese member of EXO, Kris or Wu Yi fan. The three formed the group JYJ for musical related activity, but is/was blocked heavily by SME. So going solo is there only chance to show themselves to the public. After that, their individual growth rely on their abilities more than anything. As for this fanwar, it seemed like the other side fans refused to believe that Yunho is not as good as Yoochun and Jaejoong or heck, not even as servicable as other idol-actors. It’s more of an insecurity from how I see it. They should know that since all three were in the same group, and is now starting acting, or started as idol-actors they will be compared. Heck, we do comparison for all idol-actors regardless of groups. For some reason, you can’t compared Yunho to Yoochun and Jaejoong because they’re not in the same group. And that a Yoochun or a Jaejoong fan can’t criticise Yunho bad acting either. But if going by their logic, then everybody who don’t lke Yunho’s acting are JYJ fans. The complication of that fandom thinking weird me out the more I do research on this. I hope they don’t come over here, if they find this place… lord it’s another 200+ comments of everyone ‘cyber bullying’ Yunho while their fans attacking everyone of us who criticises his acting. I was actually looking forward to this drama because I like the synopsis. I like ghost stories, especially when set in historical time. Now with Yunho in it…sigh, I’ll tried at least, I guess. Pungpung, Thank you for the research, it got me curious so did some searching based on what you wrote, wow it’s a drama in itself, spent the whole day online reading and watching YouTube. The singing group of five sound good, though I can’t say I care for the three or two, I listened to some of their solos and Jaejoong is very good, Junsu has strong lungs but his voice is not my taste (quite annoying actually), the other three are average to below. Sorry to be so blunt, yikes I may get attacked by idol fans. Funny thing is I’ve watched many dramas these guys were in and never took notice on names until now (rtp, skks, dj, ptb, pr, qoa, imy), rtp is the only one I watched completely and really did not care for the lead actor pyc in fact I really liked imy for ysh but realized that guy pyc was in it so knew ysh would end up sad case so quit, same with skks watched for sjk and saw pyc and knew how it would end. In fact now I’m getting the sense or understanding of why so much dislike for the idol acting taking lead roles when they can’t act, this night watchman is just the perfect example. They bring their idol fans to vote their popularity as idol and the real actors get overlooked or out voted by these massive fan groups. I did read some positive reviews on the acting of Jaejoong in triangle, tried to watch it, he is good but story not so good, in fact remembering ptb and dj, he was also good, just did not care for story. I’ll watch nwm for jiw and because the story sound interesting, don’t care for the looks of Yuhno, he’s kinda creepy looking. His fans are scary, I’m sure this drama will fare well with jiw and storyline, I’m also sure yuhno fans will say ratings are good because of yuhno, barf. Again I’m sorry to be so blunt to say some hurtful truthful words but some of us are drama fans looking for good entertainment, not idol drama of idol fans. Jung II Woo should be able to pull those idols with good storyline, oh and if not, then that sm company will pay to write good reviews (haha read how corrupt and disgustingly low that co is, surely they will buy success, I checked it out and no talent in singing or acting there but idols are popular, the co is amazing, they don’t pay their idols and actors very much, maybe all the $ spent on paying off bribes to ensure top popularity, hehe this show should be big hit no matter how bad acting). I would love to see it in a drama as well LOL. I don’t listen to them, I tried, some of them are good, but I don’t put them on repeat like I do for other artists. My type of music is more Wang Lee Hom and Jay Chou. I have cpop on repeat. It’s personal taste. 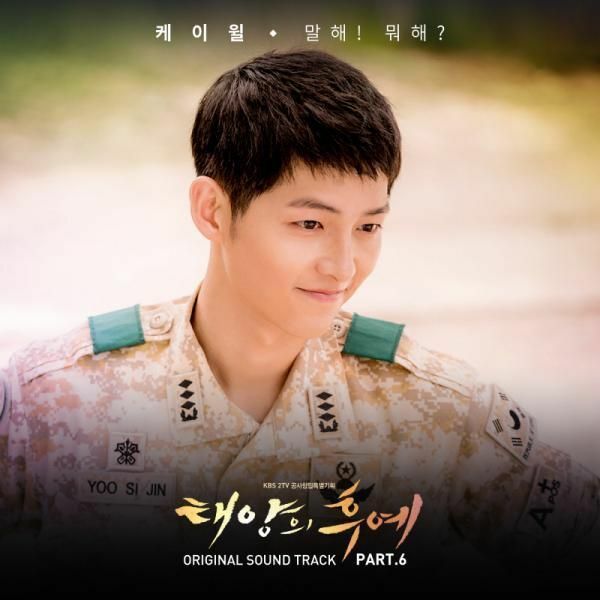 I skimmed through SKKS for Joong Ki too ><. Ugh, I missed him. I got through first part of RTP for the other supporting dorks, but then I just don't care for it. Can't stay long with idol dramas. Dear god Dr Jin O_O, injustice to the real Jin from JP. Can not get through PR and QOA, didn't bother with IMY, and dropped PTB in the middle, watched the last ep. Yeah, if idol wanted to act, I would recommend them to be in extended cast, until they can build up that presence then supporting lead for a while before going into lead. Some idols can only survive through idol dramas, and mostly romcom. But it gets tiring to watch them after a while. Well, Idol actor can only get popularity award and newcomer award for whichever station they first come to, but even that newcomer award is bought. Baeksang Popularity Award particularly was a paying type, where fans pool money to vote to buy that award for their bias. Triangle is testing my patience lol. Jaejoong improved, but he need to fix his breathing problem when he talks. Yunho fandom is really something. But since they asked to be given him a chance, I'll give him a chance. I'll watch Night Watchman. But i'm for sure he won't improve much considering that he doesn't have the actor looks, nor the presence, and his vocie and speech patterns will be the major problems to his 'acting'. We'll see how constipated he'll looks when trying the sageuk low tone. Yoochun and Jaejoong had that problem, ain't no way Yunho won't LOL. Seo ye ji looks like choco. I see it!! I still think Lee Yubi is cuter though. I was about to look forward to this drama. But then the casting, except JIW has very limited experience or bad acting like Yunho. My excitement and anticipation has decreased since then. I just hope at least it’s watchable drama. Dammit!! I’m not keen on the two girls either. He needs at least one co star to be on par with him, otherwise it’s just too difficult to watch. Especially with Yunho. Yucks! I’m in the same boat. Never found him cute or handsome, or find anything appealing about him. AT ALL. No, he is not handsome but “never found anything appealing about him at all”….LOL. This guy gets all the hype and praise for his perfect body proportions and many Cassie’s and non-Caasies think he’s “manly cute”…just to let you know. Jung il woo is not handsome either but he can act. I don’t know if I should give it a chance. I adore JIW. He’s not handsome but he is awfully cute. That’s my definition of cute! Lolx. And he can act his a-s-s off! Pairing him with Yunho is an insult to him. Imagine JIW emoting in a scene and Yunho has no reaction? Like robot? Or constipated face? Gosh! I can’t imagine…..
I’m afraid that Yunho may be so bad that I just can’t watch. Maybe…. Maybe his acting has improved? Maybe he went for acting classes? Dare I hope? I don’t know what to say about his acting for this upcoming drama. We already know how he did in the past…..so hopefully he might surprise us…I don’t know. I do not think JIW is cute but I can see his appeal. In terms of looks, everyone is entitled to their opinions, but I know for sure that the people who find Yunho (and Changmin) attractive outnumber those who don’t find them attractive. Wouldn’t it be hilarious if it turned out that Yunho showed some magical amazing acting skills in this drama and ALL the other actors sucked? I’m laughing just picturing it. LOL …. OMG that will be one of the greatest moment in the history of K drama … Jung Yunho outshine Jung II Woo in acting .. 🙂 … Let’s pray for it and for Yunho. I wonder why they changed it from 3 male leads to 2? Jung Il Woo being a sunbae at such a young age – not bad, and yet, so many responsibilities, esp. with DB5K’s former leader. Hmm… Maybe they need to recruit LBS into this drama to work his magic on Yunho. Or Yunho just works his own magic and is actually good or just serviceable. I can say that current dbsk’s acting is still cringeworthy. Very cringeworthy… Changmin – I am looking at you and Yunho is pretty much in the same league. I want this to be good so I really hope that everyone including JIW stepped up about 10 notches and those falling between step it up 100 notches. Watching for Jung II Woo. I’ve never seen anything with Go Sung-Hee, Seo Ye ji and Yun Ho, he’s handsome and the girls are cute, i hope they can surprise me with their acting. Jung Il-Woo is an amazing actor. I wish they will finally pair him with a good actress. I stopped watching Golden Rainbow because the script and the director was so bad, and Uee unbearable. Practically the only good parts once the adults cast were on was JIW. What a waste of talent that drama was – also of the wonderful Kim Sang-Joong. Now they again cast him with a questionable cast. Yuhoo – IMO – is not half as bad as Taecyeon in Wonderful Days. His over the top acting drove me to stop watching that drama. Yunho can learn from a good teacher like JIL, as he probably learned a thing or two from Kwon Sang-woo in Yawang. We’ll wait and see..